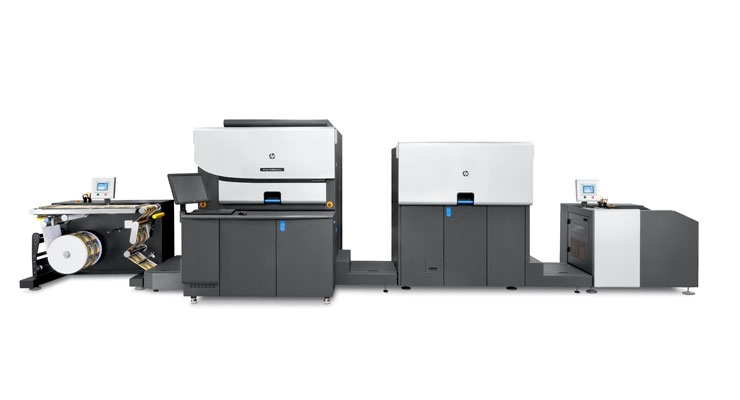 Executive Press uses this press's quality color fidelity, white ink technology, throughput and contour cutting capabilities to go beyond the expected. We are trying not to brag, but this machine is unsurpassed in the world of digital roll printing and we’ve got one! Because quality is of utmost importance, we rely on our Heidelberg 6 color press for our commercial offset customers. Heidelberg is the standard for putting ink on paper. It's the ideal equipment for pocket folders, brochures, newsletters, programs, magazines and marketing materials of all types. 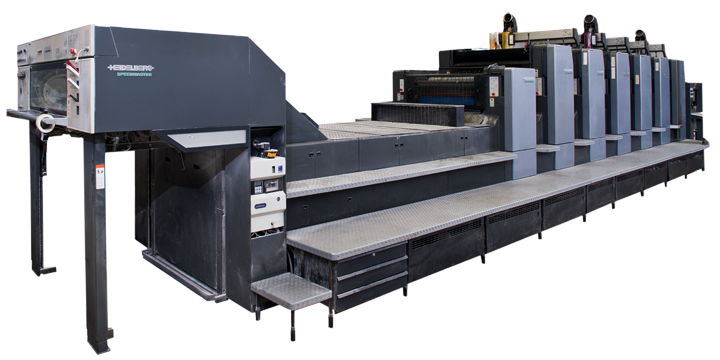 This 4' x 8' flatbed UV presscombines revolutionary technology, industry leading quality and outstanding speeds to satisfy the most demanding projects. 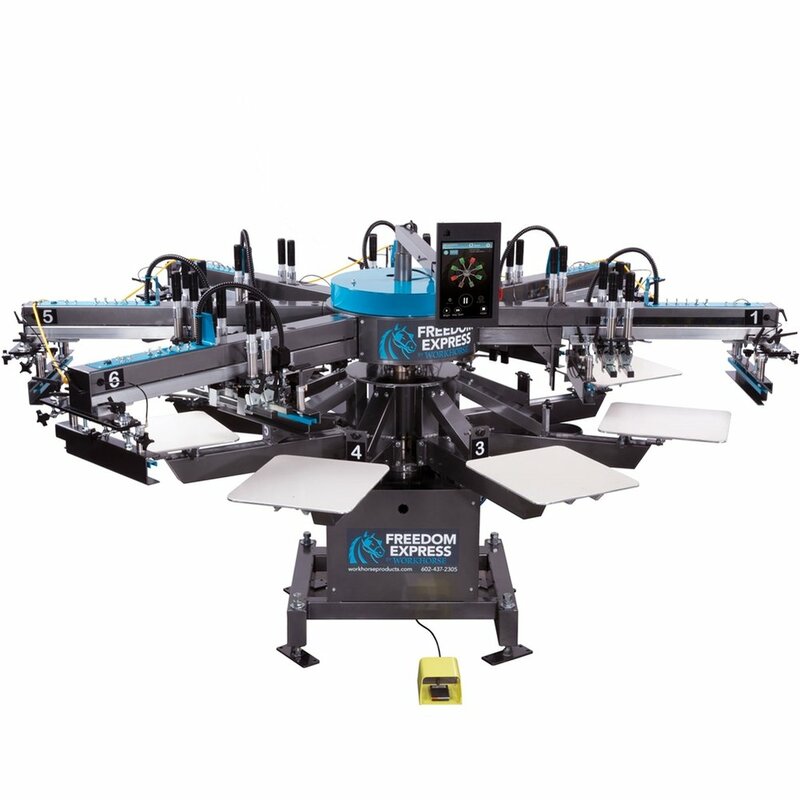 This press has the ability to print on any media such as wood, metal, glass, acrylic and many more up to 4" thick. 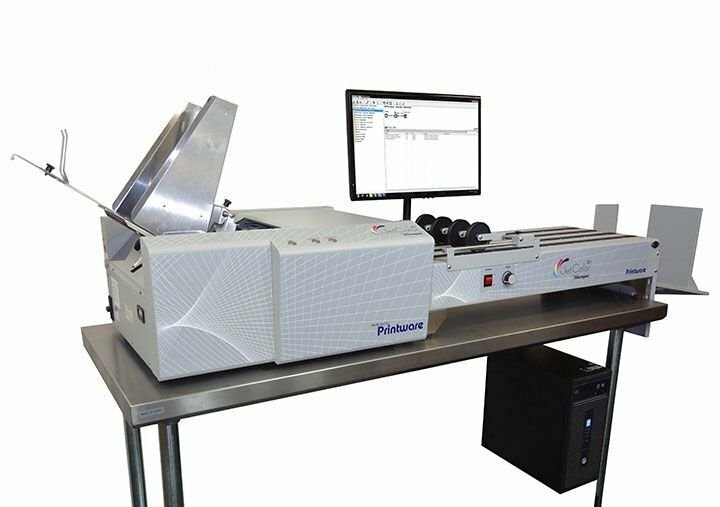 We us this machine to produce high quality results consistently and efficiently. The Andes conveyor system provides easy removal of the materials and increases productivity. Features vision registration system and camera to increase accuracy. Ideal for cutting foamcore, dibond, styrene, printing fabric, light sheet, gridding cloth, flag fabrics, decals, PVC expansion sheet, corrugated paper, honeycomb board, and etc. We can print any label in a simple, more productive and affordable way. Have us create anything, we increase our clients productivity, no matter the job, no matter the run length. Stand out by relying on Executive Press’s renowned print quality. This includes everything needed to print top quality personalized envelopes, direct mail and short-run letterhead. 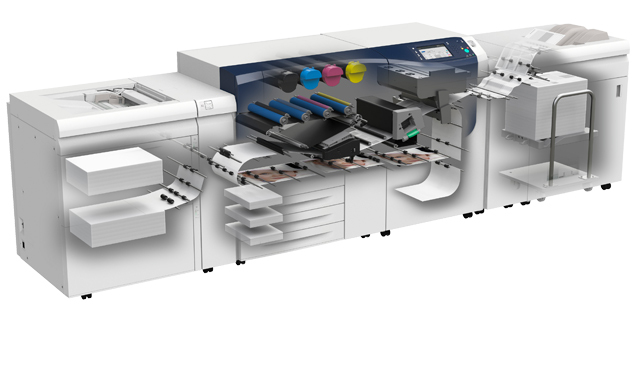 This is a complete digital color print solution with an industry standard iJetColor color matching RIP and workflow, a printhead and combo ink pack capable of printing thousands of 4-color envelopes, letterheads, and direct mail pieces. This press can do it all. This press offers outstanding quality, productivity, and versatility in a compact, scalable footprint. Designed for small-to-medium commercial, franchise, in-plant, transactional and quick press, this press is equipped to handle a variety of media options up to 110 lb. Cover and validated heavier stocks up to 130 lb. Cover, including heavy, coated, textured stock and envelopes at an outstanding level of reliability and performance. We use the Freedom Press because it does not limit us to simple designs or small jobs. We can take any idea into mass producing printing. We can infuse corporate clothing with a sense of company pride and help spread your brand into the world. With this screen printing technology you have the tools to create personalized clothing and accessories for almost any use. Executive Press utilizes the Bravo 16 needle embroidery machines to embroider quality designs on apparel, caps, bags and a wide range of textiles beautifully. The Bravo can produce all the embroidery our clients expect.